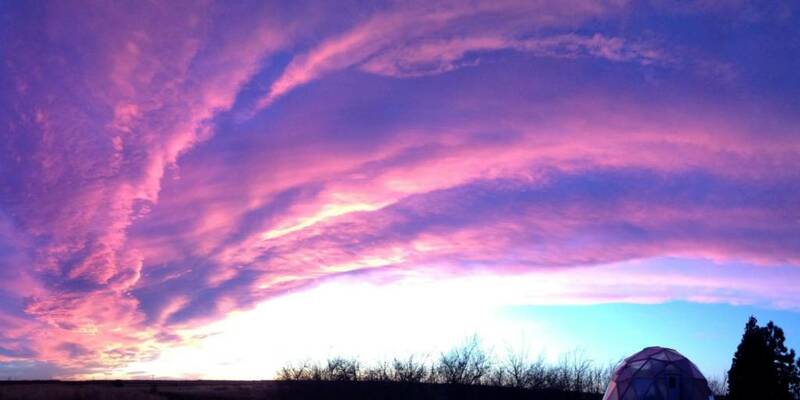 Congratulations to Neena Cocke Wagnon on winning February’s Dome of the Month contest with this awe inspiring, fuchsia-cloud photo of her 26′ Growing Dome. It seems the clouds themselves are wrapping around the spherical shape of the greenhouse. Neena is so lucky to live in a place where such skies are possible.